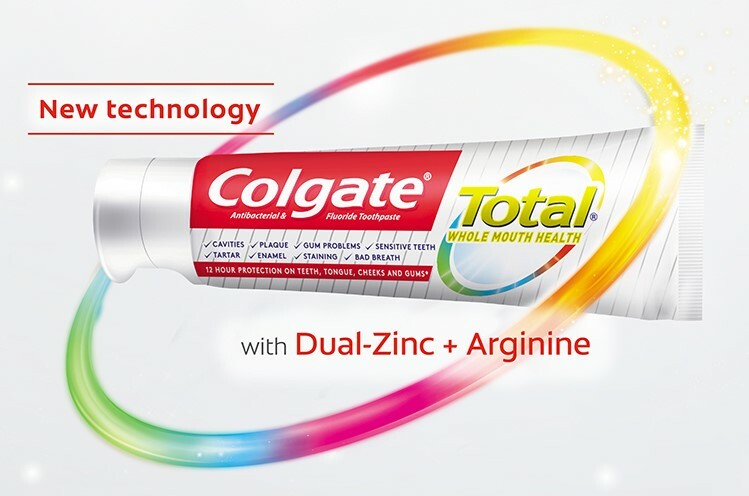 Colgate Total®, the world’s first multi-benefit toothpaste, has been re-invented to work with the biology and chemistry of the mouth for better oral health outcomes vs. non-antibacterial toothpaste. Copyright© 2019 Colgate-Palmolive Company. All rights reserved.